Park Hotel proposal is destined to replace an old three star hotel and existing marina, redeveloping them to an enhanced standard, providing 200 berths; its design was inspired by the unique Mediterranean coastal location. It calls for a solution with all guest suites enjoying views of the sea and the historic town of Rovinj, and terraces to make the most of alfresco living. 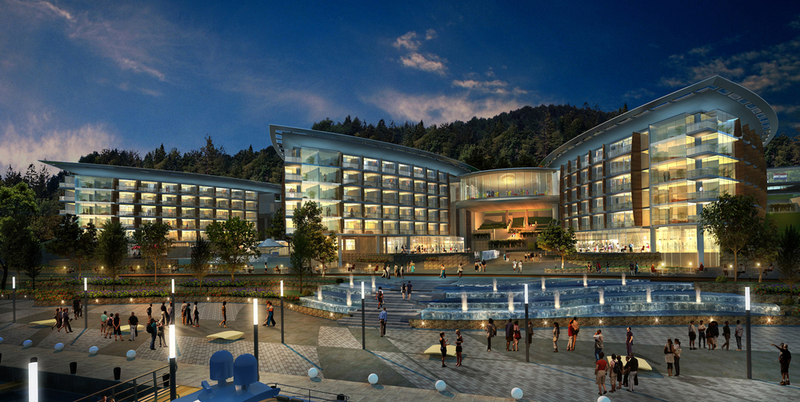 The site sits along the 'lungomare' promenade, against a wooded hillside. 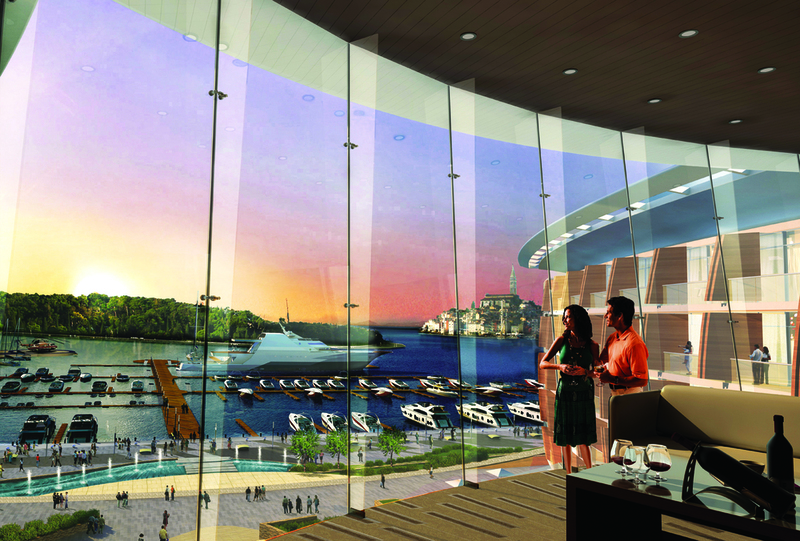 The proposed design filters the views in both directions and creates connections between the waterfront and the upper esplanade. It includes 240 high-end luxury guest suites and serviced apartments designed in four triangular pavilions linked at the top elevated reception floor. The suites’ access decks are arranged around a naturally lit central atrium. The ground floor links all the pavilions with a hierarchy of spaces to suit a range of leisure needs, from swimming pools to terraces and courtyards, creating vibrant as well as tranquil environments. The energy saving technologies which are incorporated, include an integrated solar water heating system, heat recovery for the service plant floors, high efficiency lighting and good lighting control, as well as natural ventilation.